Over/Under: Over 142.5 at 1.90 Bet Now! Lokomotiv are already qualified and it isn’t impossible that Stelmet can make the Top 16 but you have to say that this game has the look of a dead-rubber about it. The home side have a 6-1 record while the away team has a 1-6 record and it is likely this pattern will continue at the end of the game. Malcolm Delaney has been in excellent form so far this season and if he can retain his shooting average on Friday night, the Polish champions could be in for some trouble. Lokomotiv gave Anthony Randolph his Euroleague debut last week and he looked to add more power and intensity to a team that was no shrinking violet. With qualification in the bag, the hosts could be forgiven for taking things a bit easy but playing in front of their home crowd, you would expect the side from Krasnodar to be keyed up for a win in this game on Friday evening. It will be a tall order but the Polish side really need to grab a win in this game. Given that they are the second poorest scoring side in the league and they face the team with the defensive record you have to say that is going to be tough for Stelmet. It will be even more difficult for the away team thanks to the absence of Vlad Moldoveanu which means that players like Szymon Szewcyzk and Nemanja Djurisic will need to offer up something special. If Pinar lose on Thursday night, there will be plenty of incentive and motivation for Stelmet to push forward in this game. 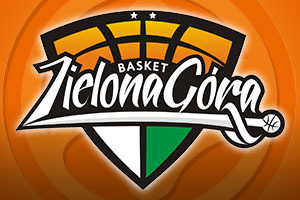 Yes, Lokomotiv are clear favourites for this game and they should win but Stelmet have plenty to play for so take Stelmet Zielona Gora at +15.0 at odds of 1.90. When it comes to getting involved with the Over/Under market, look to go OVER 142.5 at odds of 1.90. Bet Now!